This conservation resource was created by Zain Alansari, Spencer Cain, Tammy Kelderman, and Francis Rossmann. Since the Industrial Revolution, world energy consumption, traditionally supplied by combustible organic material, such as oil, coal, or natural gas, has rapidly increased. As conventional sources of fossil fuels are depleted, hydraulic fracturing (“fracking”), a controversial method of extracting natural gas, has become a popular unconventional approach to fossil fuel extraction. Pennsylvania (PA) first began drilling for oil and natural gas wells in 1859 and more than 350,00 well shave been drilled as of 2016 . Regulation of natural gas drilling began in 1956. The exploitation of fossil fuel resources is regulated under all or part of state gas and oil bylaws. These laws include the Clean Streams Law, the Dam Safety and Encroachments Act, the Solid Waster Management Act, the Water resources Planning Act, and the Worker and Community Right to know Act. The natural gas industry has invested over $4 billion into the Pennsylvanian economy and development of this industry could support up to 211, 000 jobs. The Pennsylvanian Department of Environmental Protection (DEP) has given the fracking program high marks. The hydraulic fracking practice has risen steeply from 1 percent of U.S. natural gas production in 2000 to roughly 10 percent in 2010. Fracking has the potential to supply the entire nations energy needs for the next 90 years according to a recent MIT study . To extract natural gas through fracking, companies drill wells deep inside low-permeability petroleum reservoirs, and inject chemical additives and propping agents to fracture rock formations, and then extract natural gas from the rock. Fracking, however, involves massive amounts of water, which creates potential problems in the availability of natural, freshwater resources, volumes of wastewater produced, and the subsequent wastewater disposal. The potential environmental impacts of hydraulic fracking include greenhouse gas emissions, high water consumption and contamination, land use, health effects on humans, and risk of earthquakes. There is no universally agreed definition of water security, however access to safe water, sanitation and the conservation of the resource are human rights. Water security can be a summarized as traits, Access, Affordability, Protection, Supply, and the ability to cope with uncertainties. Hydraulic fracking represents a immediate threat to the water security of the public and for subsequent generations. Between 1.2 and 3.5 million US gallons of water are used for each well, specifically large projects use up to 5 million US gallons of water. This large use of water for industry threatens the abundance of fresh water as changes in annual precipitation affect the renewal rate of the precious resource. This affects the access, and supply of freshwater. Surface water can become contaminated through spillage and poorly built and maintained waste pits. This causes runoff into ground water that can be contaminated in the fluid used in the fracking can escape the formation being fracked. What other costs and/or implications become apparent when hydraulic fracturing is viewed through the lens of other disciplines and professions? What special expertise, resources, or theoretical orientations might others bring to help us better understand the costs and/or implications associated with hydraulic fracking? When hydraulic fracturing began to flourish in the early 2000s, the jobs and royalties paid for land use were welcome in rural Pennsylvania. With farming on the decline, it was a welcome boost to the economy. Doug McLinko, Bradford County Commissioner in Towanda, Pennsylvania, stated, “natural gas has been “a complete blessing to our county”, pointing out that it had added $200 million of market value to its economy in just a couple of years. He insisted that there has “never been a government program that has ever preserved family farms more than natural gas.” But Tammy and Matthew Manning, residents on a farm in Franklin Forks near Salt Springs State Park, Pennsylvania, said they believe that shale gas production has polluted their water well. They obtained reports of well-casing failures in three fracking operations surrounding their home, which they believed caused high levels of methane gas and heavy metals in their well water. But the gas companies fracking around their land would not admit fault, even though the Mannings claim that they know of several other people who are having the same difficulties. While fracking once seemed like a beneficial addition to their fledging economies, some residents in rural Pennsylvania are experiencing buyer’s remorse. Dr. Tony Ingraffea, Professor of Engineering at Cornell University warns that, “all the risks associated with oil and gas in general, which are not inconsequential, get magnified because of the scale of this activity”. And with the large influx of fracking wells and subsequent recent plummeting prices of fracked gas , communities in Pennsylvania are in ongoing disputes with the oil and gas industry not only over contaminated water but non-payment of royalties. It would appear that the costs could outweigh the benefits for residents of rural Pennsylvania. 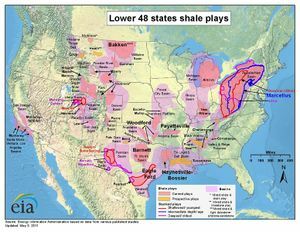 The States overlying the gas-rich Marcellus Shale, which includes New York, Ohio, Kentucky, Tennessee, West Virginia, and Pennsylvania, have been estimated to contain such vast amounts of natural gas that the area has been referred to as the “Saudi Arabia of natural gas” [footnote Gas Land 4:30]. The industry contends that the development of natural gas as a “clean-burning transition fuel” would help the United States wean itself off dirtier fossil fuels like coal and conventional oil. It has also been pointed out that independence from oil producing countries in the Middle East, home of OPEC, the oil cartel that has left the United States economically vulnerable in the past, would reduce their market and political power. In addition to the challenges dependence on foreign oil presents to national security at the federal level, governments at the state and local levels are required to carefully weigh the pros and cons of the hydraulic fracturing industry domestically. Any tax revenue generated by the industry must not be at the cost of their citizens’ well-being. On the other hand, allowing industry to flourish creates jobs and stimulates the economy so it is a challenging balance for governments to achieve. Another important stakeholder in the hydraulic fracturing is the global community. The practice produces large quantities of greenhouse gases, particularly carbon dioxide and methane which have been linked to climate change. According to the United Nations Intergovernmental Panel on Climate Change ("IPCC"), current GHG emissions must be capped, not increased, in order to keep the climate from changing dramatically. 195 countries, including the United States, signed onto the Paris Agreement in 2016 which aims to keep “a global temperature rise this century well below 2 degrees Celsius above pre-industrial levels”. Industries that are increasing their GHG emissions are not in line with that agreement and any actor in the global community has the right to call into question whether those industries are sustainable. Public concerns about the adverse effects of hydraulic fracturing have accompanied the fast growth in energy production. Water use for fracking is a primary public concern, as this process requires a considerable amount of water. In the Marcellus Shale, 14,800,000 litres of frack water is used per well that results in 5,200,000 litres of wastewater generated per well . However, hydraulic fracturing is less water intensive than alternative forms of energy extraction. For example, oil, nuclear, and coal extraction have water intensities that are 10 times, 3 times, and 2 times greater than for shale gas, respectively . Furthermore, there are concerns regarding both chemicals found in fracturing fluids and naturally occurring radioactive materials from contaminating surface-water and groundwater . Several analyses of drinking-water wells in the Marcellus region of Pennsylvania indicated high concentrations of methane and ethane, suggesting the contamination of Marcellus gas in homeowners’ water supply . A study by Osborn et al. found that methane concentrations in drinking water of homes within 1 km of shale-gas wells are 17 times higher in the Marcellus region. Nevertheless, cases of ground-water contamination are universally controversial. Some researchers attribute the higher methane levels to naturally occurring higher methane in valley bottoms resulting from a topographic effect. Moreover, many Pennsylvania aquifers contain some natural thermogenic methane . Induced seismic activity associated with hydraulic fracturing has also gained considerable public attention. Fracking, wastewater disposal, and carbon dioxide sequestration reduce the effective stress within a fault zone, allowing the stored energy in the rocks to be released more easily. However, fracking-induced seismic activity has been documented in relatively fewer cases compared to those caused by wastewater disposal, which usually generate higher magnitude earthquakes . Furthermore, the number of reported cases of induced seismicity linked to mining and dam impoundment outnumber those attributable to hydraulic fracturing . Moreover, the construction of each drill pad for fracking operations requires a large amount of land – approximately 3 to 5 acres per pad. . These drill structures fragment the landscape, which has adverse effects on the ecosystem, resulting in population fragmentation and ecosystem decay. Policy gains on climate change, and attitude of the growing source of emissions from fossil fuel consumption has lead to the investment into greener and more efficient technologies. This has been brought on by the introduction of proposed carbon taxes on industry. A higher price on carbon will stimulate innovations from the industry to remain competitive with changes in public and political opinions of the industry. Large companies can afford to develop new and innovative technologies and can attempt to split the industry and solidify their place as energy producers. This represents a Top Down approach aims to reduce consumption and attempt to make the industry more efficient in its extraction techniques. With the introduction of a carbon tax the industry will see a reduction in revenue causing a shift in current practices to more sustainable and economically viable options. Pennsylvania has had a long history of energy production. During the 18th and 19th centuries coal production comprised a large portion of Pennsylvania’s industry and economy. Through technological advances, this production became more efficient and produced larger deposits of coal. With the introduction of petroleum into the global energy market, coal began to stagnate as the industry went into decline in the 20th century. In the early 2000’s energy companies began exploring alternative extraction methods to produce oil and natural gas deposits, which comprised 1 percent of U.S. natural gas production as of 2000. As readily accessible oil and natural gas reserves began to dwindle Pennsylvania began to explore unconventional oil and gas reserves through a process called Hydraulic fracking. Energy production in the state has held a long tradition passed down from generation to generation. As such with changes in energy needs around the globe, Pennsylvania has been able to adapt with the changes. To some local communities this industry is the only available work and without it communities would be worse off. Socially the extraction of resources in Pennsylvania has a long tradition spanning many generations and as such hydraulic fracking is the next part of Pennsylvania’s long held energy production tradition. Pennsylvania has had significant investment from the natural gas industry totaling $4 Billion as of 2010. This injection into the states economy has led to the development of 211,000 jobs within this sector. Because of the unconventional nature of hydraulic fracking, the state has undergone a significant development process. This development comprises of clearing land for wells, construction of access roads, infrastructure development (e.g., pipelines, processing stations), transporting and processing the fossil fuels, transporting of 1.2 and 3.5 million US gallons of water are used for each well, and construction of wastewater treatment and disposal stations. The injection of investment into the state has lead to bringing larger populations of the communities together. These activities have brought up implications which were not planned for during the initial investment. These actives involve economic, environmental, social and health impacts of this rapid development of population growth. This rapid development is categorized as boom-bust cycles of energy extraction which has been a long standing trend of energy production in the state . The management practice of rapid development is dependent on numerous factors, mainly the development of short vs. long term impacts. The state has a long tradition of population growth brought on by fossil fuel extraction. Because of this, the industry is vital to the continual development of infrastructure in the state. However, communities may be lacking or face stains from public services which do not receive the level of investment from the state government. Social and economic repercussions of hydraulic fracking operations are felt by both the well dependant communities local to fracturing operations, as well as the drilling companies behind the operations in question. Due to the nature of these fracturing operations, it is largely up to drilling companies in the energy sector to mitigate environmental concerns which arise from fracked wells, and to reduce the potential to threaten the water security of groundwater dependant communities who are at risk of groundwater contamination. As hydraulic fracturing has steadily gained momentum as a reliable method of unconventional energy extraction, technological developments in the field have been driving the U.S. economic future, creating skilled labour jobs, energy independence, and relatively low-cost energy . 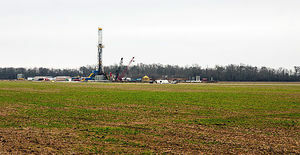 However, environmental and social concerns have increased in parallel as the hydraulic fracturing sector grows, and there has been an increasing amount of input, research, and recommendations from the scientific community in collaboration with drilling companies to lighten their environmental and social impacts. Considering the majority of the concerns surrounding fracking operations revolve around groundwater and fracking fluids (e.g. groundwater depletion, groundwater contamination, community water security, surface spillage and the economic aspects of groundwater use, raw water cost and wastewater treatment), many recommendations involve the incorporation of more stringent regulations on responsible groundwater and fracking fluid management . Such recommendations include emphasis on recycling fracking fluids and use of alternative fracturing techniques. Many hydraulic fracturing operations, including those in the Barnett, Marcellus and Fayetteville shales generally require from 2 to 20 million gallons of water for a single well, with an addition 25% of water volume being associate with the drilling, extraction, and sand and proppant mining processes . Effectively, a hydraulic fracturing well will produce more than 10 times the wastewater than a conventional well, while delivering approximately 30 times more gas . An increasing number of drilling companies have begun to recycle fracturing wastewater as an economically and environmentally more viable approach to drilling operations. By recycling wastewater, as opposed to traditional off site transportation, deep well disposal, or on-site treatment, drilling companies are able to reduce operations cost, as well as effectively reduce the volume of freshwater required per well. Reduction of freshwater use is particularly important in regions with reduced groundwater capacity, or in environments prone to drought seasons, as excessive freshwater withdrawals may have a negative impact on the ecological health of watersheds, local well-dependant communities, and general ecological health . This positive trend of wastewater recycling and subsequent reduction in freshwater requirements can be seen in hydraulic fracturing operations in the Marcellus Shale, with 13% of wastewater being recycled prior to 2011, and 56% post-2011. Alternatively, in order to access certain water impermeable reservoirs and to mitigate freshwater use, groundwater depletion, and wastewater production, a small number of drilling companies have begun to use waterless fracturing techniques, accounting for only 3% of fracturing jobs in the U.S. in 2015 . Rather than using massive volumes of freshwater to fracture hydraulically, drilling companies have begun to use methods such as nitrogen based foam fracturing, CO2/sand based foam fracturing, straight nitrogen or CO2 based fracturing, and gelled-LPG fracturing. A particularly interesting method of waterless fracturing is Vandor’s Refrigerated Gas Extraction (VRGE): using cold compressed natural gas blended with a proppant slurry and foaming agent, VRGE does not require most chemical additives or biocides present in hydraulic fracturing fluids. Additionally, once the foam has been pumped into the well and successfully fractured the deep-rock formations, the natural gases present in the foam will return to the surface in gaseous form, and can be collected, re-used, or sold on the market. Viewed through the lens of other disciplines and professions, what other actors become relevant when considering solutions to address costs and impacts associated with hydraulic fracturing? What special expertise, resources, or theoretical orientations might others bring to help us better resolve challenges associated with hydraulic fracturing? Proponents of fracking argue that, when properly employed, fracking could meet our low-cost energy needs. Nevertheless, it is still uncertain whether the long-term environmental costs outweigh its economic benefits. ↑ US Dept. of Energy. (2013) How is shale gas produced? ↑ Bigas, H. (2013). Water security and the global water agenda a UN-water analytical brief. United Nations University - Institute for Water, Environment and Health. ↑ Howarth, R., Santoro, R. & Ingraffea, A. (2011). Methane and the greenhouse-gas footprint of natural gas from shale formations http://citeseerx.ist.psu.edu/viewdoc/download?doi=10.1.1.231.5646&rep=rep1&type=pdf. Retrieved April 4, 2017. ↑ Jacquet, J.B. (2009). 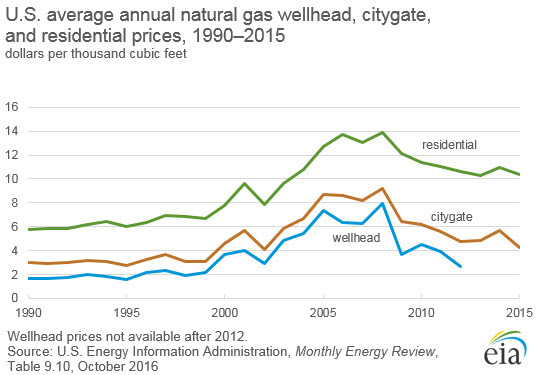 Energy Boomtowns & Natural Gas: Implications for Marcellus Shale Local Governments & Rural Communities ( No. NERCRD Rural Development Paper No. 43). Northeast Regional Center for Rural Development, The Pennsylvania State University, University Park, PA.
↑ Kay, D. (2011). The Economic Impact of Marcellus Shale Gas Drilling: What Have We Learned? What are the Limitations?, Working Paper Series: A Comprehensive Economic Analysis of Natural Gas Extraction in the Marcellus Shale. Cornell University, Ithaca, NY.